If you're about to embark on a cruise aboard the Disney Fantasy, and happen to be a vegetarian you're in luck. There are options aplenty on this enormous ship. Besides your three rotational dining restaurants and the two adults only fine dining restaurants there are also a few quick service locations on board as well. One of the most busy is Flo's V8 Cafe...and because we're good reporters we decided to try every vegetarian item available. 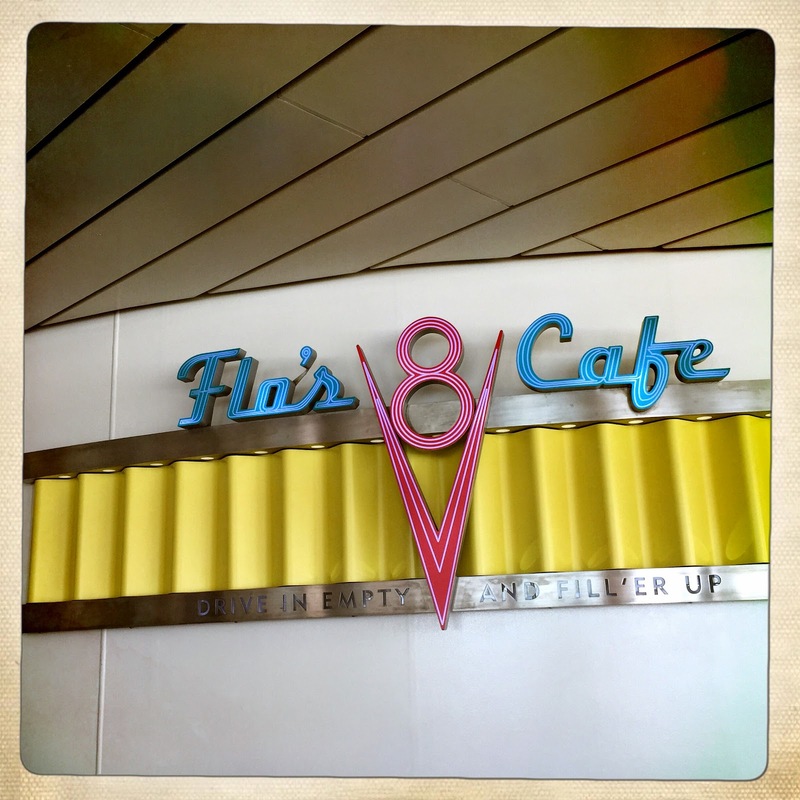 Flo's V8 Cafe is located on deck eleven towards the forward of the ship. Because this is on the main open deck near the pools, and because its the only option where you can just walk up in your bathing suit, this place can get pretty mobbed. Cabanas is located near here as well, but if you're just looking for quick efficient food between dips in the pool, this is your best bet. 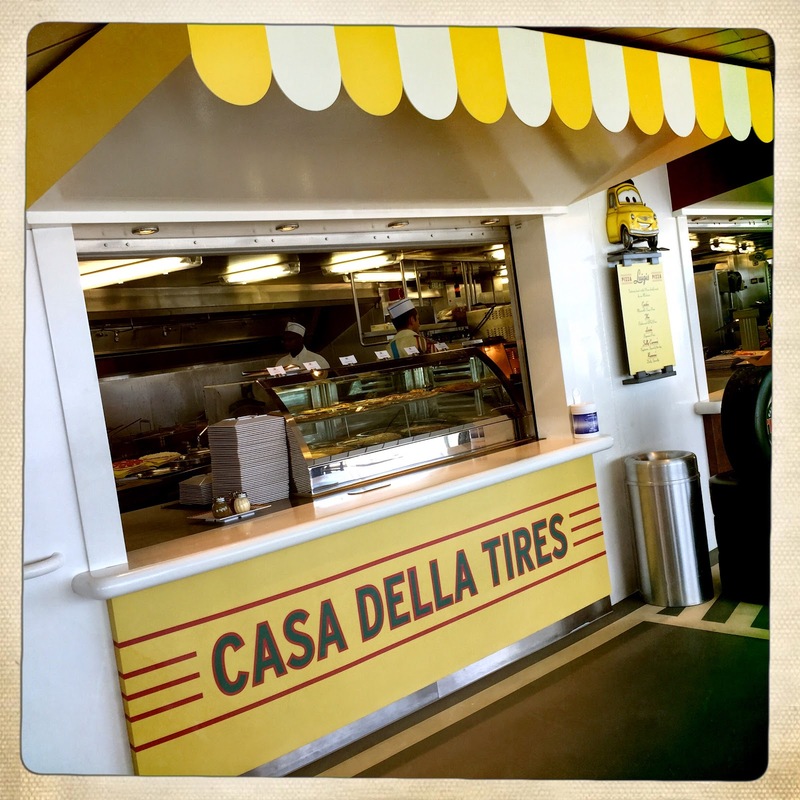 Luigi's Pizza is a pretty obvious choice for theming. There are usually three or four pizzas available at a time in the window available by the slice. During our seven night cruise the vegetarian options remained consistently margarita pizza and veggie pizza. This not real pizza by any stretch of the imagination, but its not nearly as bad as the stuff still served at Pizzafari or Pizza Planet. And if you're truly exhausted from a busy day this will hit the spot. Tow Mater Grill is the next lightly themed bay. Obviously there needs to be a quick service burger place on board, and this fits the bill nicely. 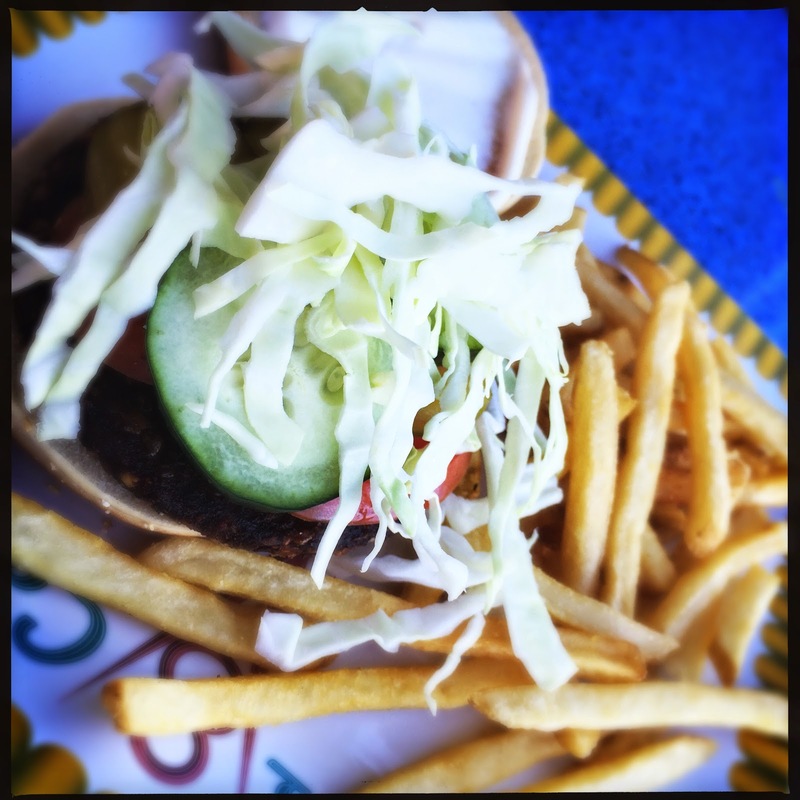 There is a veggie burger option that is not unlike the ubiquitous Walt Disney World version. In fact, in a blind taste test I'd be hard pressed to tell them apart. There is a small toppings bar located here as well...nothing like Pecos Bills, but a nice option. The french fries are the same as WDW as well, by which I mean delicious. 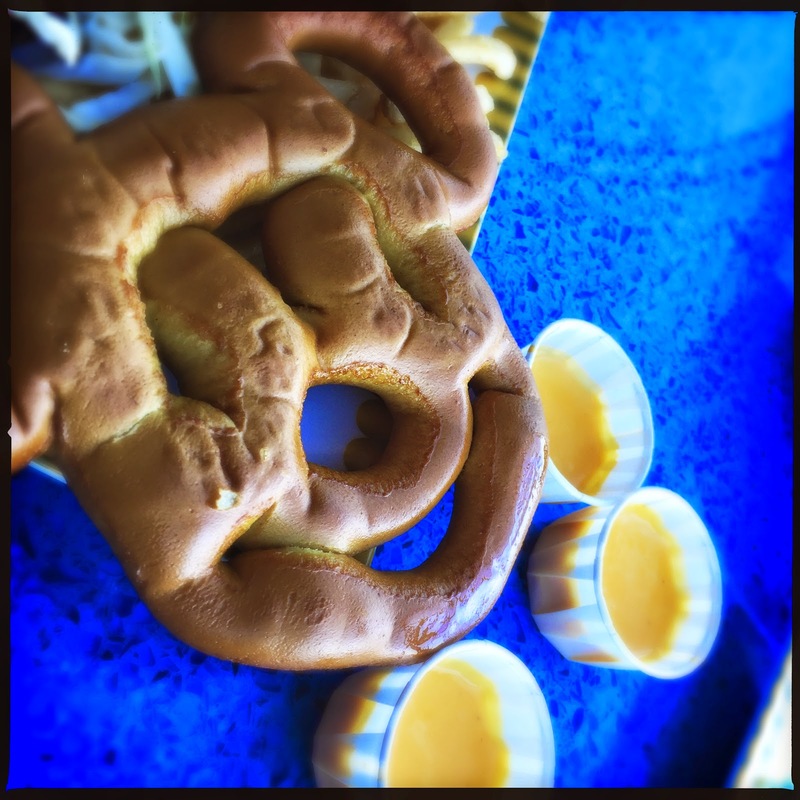 Appearing at Tow Mater's at random times throughout the cruise was a Mickey shaped pretzel. This is NOT the same as the Disney parks version...or maybe they were just old? These were a big disappointment. Even the plastic cheese sauce wasn't the same. Watery and flavorless it couldn't save the bland pretzel. Fillmore's Favorites is the third and final bay. Fillmore is the resident hippie in the Cars universe, and a "healthy" option is obvious. This means a lot of wraps, sandwiches, and salads. 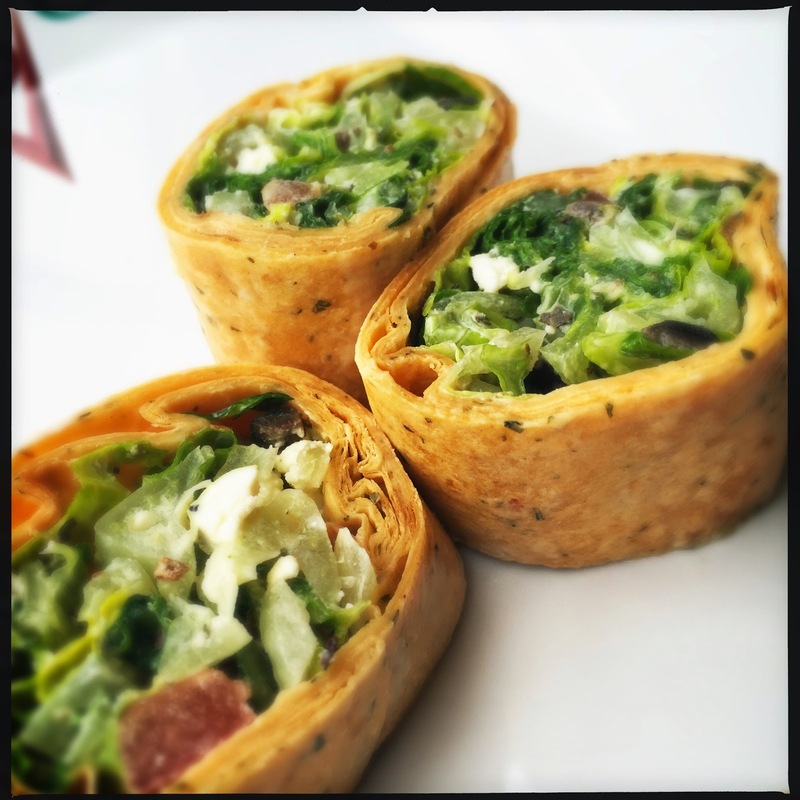 For vegetarians there is a yummy greek salad wrap. Inside was plenty of feta cheese, kalamata olives, tomatoes and lettuce with a light dressing. I really enjoyed these, although I might be biased because lettuce is my favorite food and there was PLENTY of lettuce. You can order one small section, or as many as you care to enjoy. In addition to the main items on the respective menus, each bay tended to have a special of the day as well. However, not once during our cruise were any of the specials vegetarian friendly, which was kind of a bummer. I'd like to see a little bit more diversity in that regard. 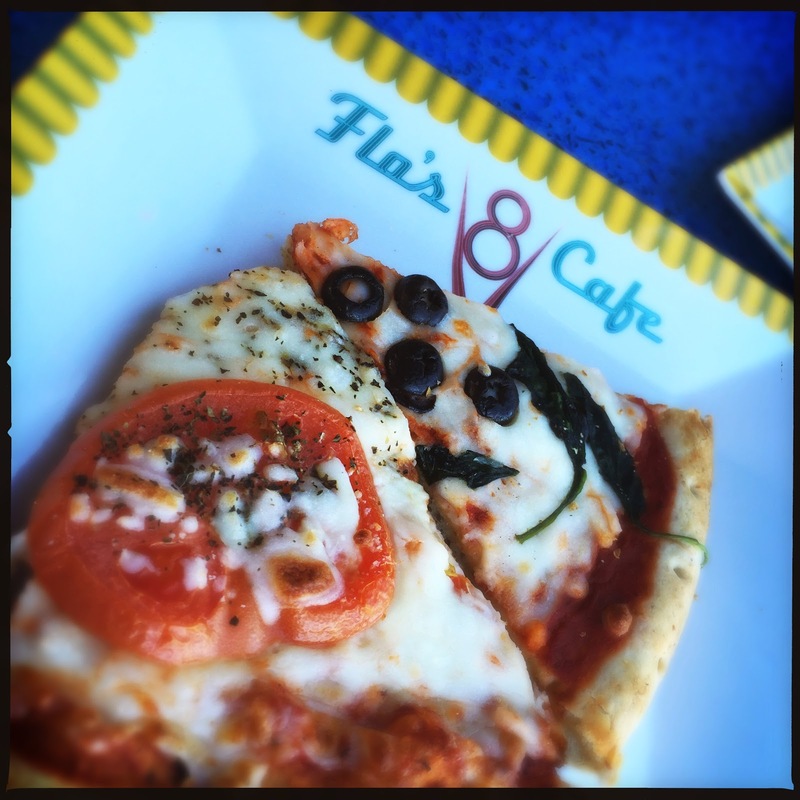 Flo's V8 Cafe remains a solid vegetarian option, especially for families. This place is also open very late, and hits the spot after a long evening traversing the gigantic ship. Have you ever been on the Disney Fantasy? What were your favorite and least favorite dinging options? Let us know over on Twitter or Facebook! And don't forget to follow us on Instagram!